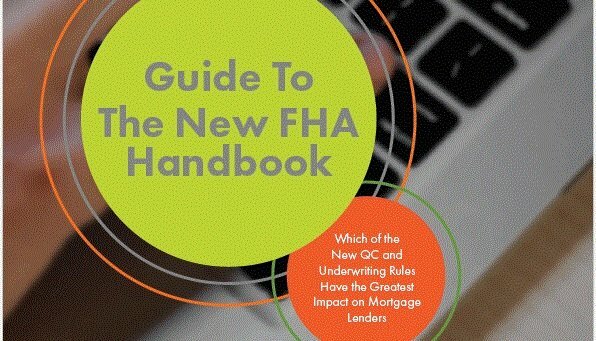 FHA has completely re written their new handbook called the 4000.1. The new FHA guidelines will affect everyone, which will make it harder to get an FHA loan in most situations. Old Rule- FHA would allow the student loan payment to be excluded if the loan payments were deferred for at least 1 yr. from the date of the closing. New Rule- You must include student loan payments no matter what. Good news almost everyone can restructure their student loan(s) to a income based payment plan which will most likely reduce your current payment(s). Installment Debts Less Than 10 Months. Old Rule – May be excluded from ratios, underwriter discretion. Old Rule–Needed to save at least 5% off of your current Principal & Interest, + mortgage insurance payment. Example $900 Principal & Interest + $150 mortgage insurance payment = $1050 X .05% = $52.50. This is the min. amount you needed to save to qualify. New Rule- You need to save at least .50% (half of a percent) off of your current Interest rate + mortgage insurance premium. Example current rate is 4.5% and your mortgage insurance premium is 1.35%. The total is 5.85. Your new loan has to be at least .50% lower between the two numbers. Example your new loan interest rate is 4% and the new current mortgage insurance premium is .85%. The total is 4.85 you qualify because the combined savings is one point 1%. You could qualify with a rate as high as 4.5% because the mortgage insurance premium dropped on FHA loans as of Jan 2015 to .85%. Because of the drop in the mortgage insurance premium earlier this yr. you could save money without lowering your rate. Old Rule – Gross up using tax rate evidenced on last tax return. If borrower did not file a return, use tax rate of 25%. Manual underwriting guidelines for credit history. Old Rule- It was up to the underwriters discretion. New Rule- The underwriter may consider a Borrower to have an acceptable payment history if the Borrower has made all housing and installment debt payments on time for the previous 12 months and has no more than two 30-Day late Mortgage Payments or installment payments in the previous 24 months. The underwriter may approve the Borrower with an acceptable payment history if the Borrower has no major derogatory credit on revolving accounts in the previous 12 months. Major derogatory credit on revolving accounts must include any payments made more than 90 Days after the due date, or three or more payments more than 60 Days after the due date. The Mortgagee must document reasons for approving a Mortgage when the Borrower has any collection accounts. The Borrower must provide a letter of explanation, which is supported by documentation, for each outstanding collection account. The explanation and supporting documentation must be consistent with other credit information in the file. The Mortgagee must document reasons for approving a Mortgage when the Borrower has any Charge Off Accounts. The Borrower must provide a letter of explanation, which is supported by documentation, for each outstanding Charge Off Account. The explanation and supporting documentation must be consistent with other credit information in the file. As you can see there are no more gray areas, it is black and white. Old Rule- Just needed to show the business has been paying the debt for the last 12 months. New Rule- Must be included in borrower’s debt to income ratio unless evidence business pays the debt. Must be considered in business cash flow & business tax returns should reflect debt. There are more rule changes but I will continue them in a blog for just income changes. Barclay Butler Financial Inc. does FHA, Conv., Jumbo, VA, USDA & Portfolio mortgages in Florida, Illinois & Wisconsin. Why using a credit repair company before getting a mortgage is a bad idea. 1 day out of a foreclosure and you could buy a home!